Here's a list of coupon codes and savings that available now at some of my favorite websites. •Ace Hardware: 15% Off Your Online Purchase. •Carters: 50% off + Free Shipping. Plus Extra 25% off $50+ with code CYBER and Free Shipping All Orders! •Children's Place: Get 50 – 75% Off Everything with Free Shipping! •Fanatics: Save 30% off of your purchase with the coupon code: CYBERMON at checkout! •Janie and Jack: 35% Off Entire Purchase + Free Shipping. •Kohl's: Save 20% with the coupon code: BUYNOW20 plus save $10 on your $50 purchase with the code: MONDAY Shipping is free with your $25 purchase. •Lids: take 35% off of $40 or more with the code: CM35 shipping is free. •Merrell: Save Up to 50% Off Select Styles Today Only! •New Balance: 25% off all orders + Free Ground Shipping site wide. •Office Depot and OfficeMax: Save up to 80% Online Only. $20 off of your $100 purchase - choose savings online. •Old Navy: 50% off Everything, No Exclusions! Online only. •Target: Save 15% sitewide, including sale items. 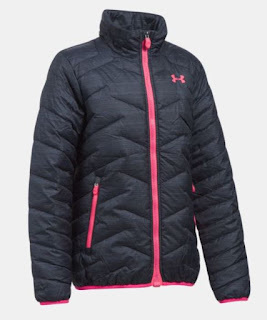 •Under Armour: Up to 50% Off UA Outlet + Free Shipping &amp;amp; Returns.